counter top, mirror and bright, ambient lighting. Fresh Water- 104 gal. Waste Water- 205 gal. 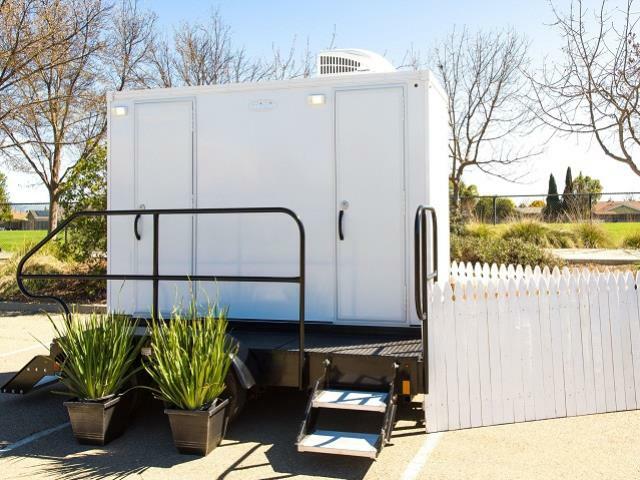 Decor Spacious Stalls Clean & Ready for Your Next Event! 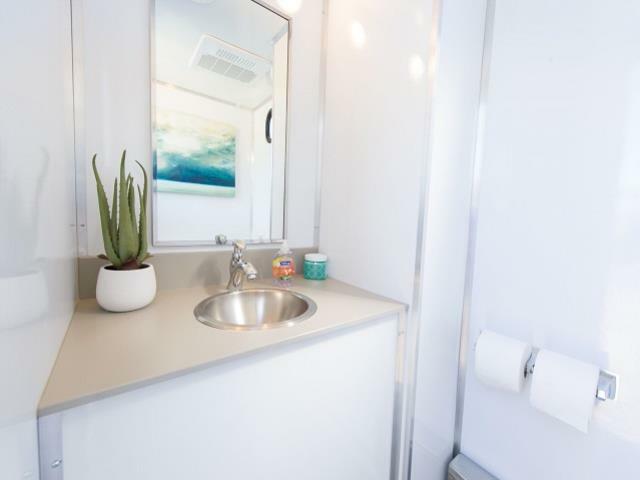 * Please call us for any questions on our luxury 2 stall restroom trailer, serving Pleasanton, Livermore, San Ramon, Danville, Walnut Creek, Tri-Valley and East Bay, California.